LOS ANGELES (October 26, 2018) – Altered Reality Corp. (ARC) today announced a groundbreaking new licensing partnership with the NFL Players Association (NFLPA), via its licensing and marketing arm NFL Players Inc., to create the first-in-the-world shareable 3D imagery of NFL Players. The athletes will become “virtual presences” in ARC’s Play3D™ Augmented Reality (AR) App, the world’s first photorealistic hologram mobile camera. 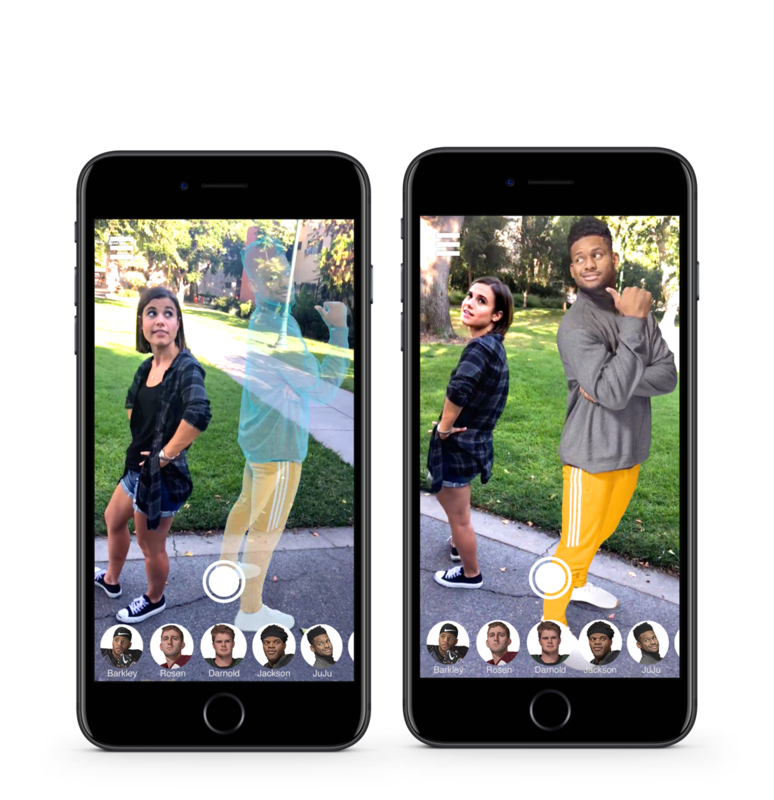 This pioneering app, available for free download via the Apple App Store and coming soon to Google Play, transports lifelike holograms into the camera view of a smartphone users’ environment, where video clips can be captured and shared across social networks and via email and text. At launch, the mobile AR technology will feature seven professional football stars, whose hologram images were captured during the 2018 NFLPA Rookie Premiere. The initial lineup via the Play3D™ AR App includes Josh Allen, Saquon Barkley, Sam Darnold, Lamar Jackson, Baker Mayfield, Josh Rosen and JuJu Smith-Schuster. Additional player holograms will be continually added into the app throughout the 2018-19 season. “Through this unique partnership, ARC is able to capture realistic scans of NFL players, offering football fans a virtual experience like none other. As demonstrated by the JuJu experience, the players also have another creative way to engage with fans. 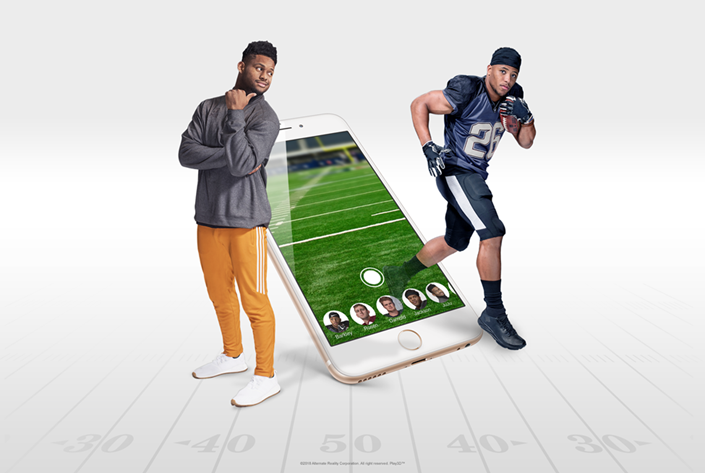 We look forward to helping ARC add more of the league’s bright new stars to this transformative app,” said Steve Scebelo, VP licensing and business development, NFL Players Inc.
On Sunday, Oct. 28, before the Pittsburgh Steelers’ home game vs. the Cleveland Browns, JuJu Smith-Schuster will invite his 2.5 million followers to participate in “JuJu’s Tailgate Party Challenge.” This innovative fan experience was the idea of the star receiver and social media sensation himself. Prior to the game, Smith-Schuster will broadcast an Instagram video, showing his hologram hanging out at a fan’s pregame BBQ: “Click here and I will virtually crash your tailgate party!” Fans will be able to tap a link in his post to download several free Play3D™ JuJu holograms, which will open in their iPhone cameras – and he will instantly appear to be present at their tailgate parties. “The ARC team is honored to be partnering with the NFLPA to offer this new form of interactive fan experience. Augmented Reality has enormous potential to connect people in unexpected ways, and with Play3D we’re transporting these amazing athletes directly into their fans’ world, where they can interact as never before,” said Nels Israelson, CEO, Altered Reality Corp.
Optimized for iOS 12 and powered by ARKit, Play3D™ shows the promise of the next generation of AR technology and offers a line-up of exciting, breathtaking holograms. It’s a dream come true for football fans who will leap at the chance to share a magical moment with their favorite players. Play3D™ AR App is available for free download on Apple App Store. Coming soon to Android. Altered Reality Corp (ARC) is the parent company of the Play3D™ App. Altered Reality Corp. is creating fun hyper-realistic mobile AR experiences featuring major film characters, sports stars and personalities who will materialize in the user’s environment. These seemingly impossible magical presences are designed to ignite sharing of user-generated memes on social networks in order to spark engagement and multiply reach. Further information about ARC can be found at http://alteredreality.com. For Play3D™ For NFL Players Inc.